To learn and develop survival skills is always a necessity when occupying such a vast and harsh territory. The region of Northern Québec now known as Nunavik extends over 560,000 square kilometres. Inuit arrived in the Canadian Arctic and in Nunavik around 800 years ago and now inhabit the entire circumpolar region between Siberia and Greenland. The Inuit ingenuity to thrive and adapt in one of the most challenging environments in the world is part of the collective being and has been built on cultural values of observation, competency and connectedness to the land. Traditionally, children are encouraged to watch and to learn; people only act when they are confident that they can complete tasks with proficiency; and a strong connectedness to all aspects of the environment permeate the Inuit’s belief system and sense of self. Inuit Elders are highly regarded and respected. The identification of “Elders” as culture-bearers is not simply a matter of age, but a function of the respect accorded to individuals in each community who exemplify the values and Inuit lifestyles. 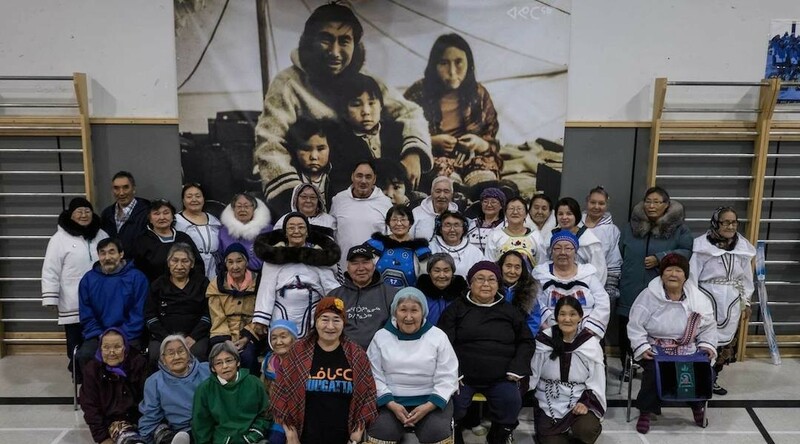 Despite the massive changes that have at times threatened to overwhelm Inuit society, the people and Elders have endured and command respect as torchbearers, guides and teachers of the communities today… and for the generations to come.